With thousands attending the grand "re-opening" of the Myriad Gardens, let's go back to a great 2004 discussion of the gardens' history between then Mayor Kirk Humphreys and longtime Myriad Gardens advocate (and chairman emeritus of the gardens foundation) Jim Tolbert. July 14, 2010 – A year-long effort to make Oklahoma City history more accessible goes public Thursday with the unveiling of Retro Metro OKC and the group’s website, www.retrometrookc.org. Retro Metro OKC is pending 501c3 organization whose goal is to create an online exhibit of thousands of photos and documents relating to our city’s history, culture and heritage. The website debuts with more than 1,200 such materials, and thanks to a cooperative effort with the Oklahoma Historical Society and other area historical organizations, we hope to be adding many more historical Oklahoma City images in the near future. I.M. Pei returned to newspaper and television headlines in Oklahoma City this week as a group of local historians prepared to unveil a model showing one of his past visions of downtown Oklahoma City’s future during a National Main Street conference being held here. Pei didn’t make this latest unveiling of his model. 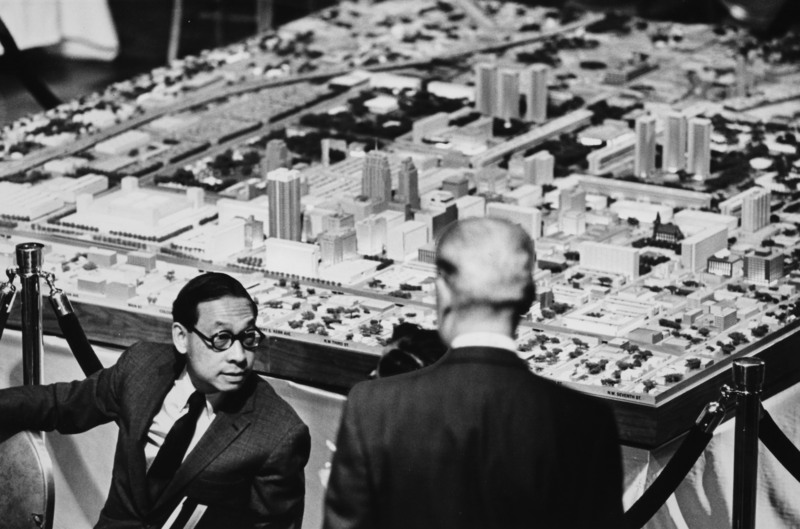 But this week in 1976, he was in Oklahoma City to look at how far city leaders had gotten in advancing his original plans it detailed. 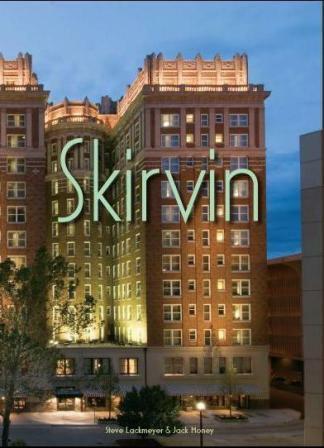 "Skirvin," the latest book by Steve and Jack, has been named a finalist in the 2010 Oklahoma Book Awards. Stay tuned to find out this spring whether "Skirvin" will bring home any awards. For those of you having difficulty finding "Skirvin," we can confirm it is almost sold out. Our publisher is close to doing a second printing of 500 copies.